The Chocolate Doctor is proud to use Canada Post as our international shipping partner, shipping from our logistics parter in Oakville, Ontario, Canada and delivering to more than 100 countries world-wide. Shipping times vary from 2 to 14 business days, depending on location. For an accurate delivery time quote, please contact us at info@thechocolatedoctor.ca. The EZ Temper maybe subject to customs and duties depending on your location. By purchasing online, you agree to be solely responsible for customs and duties to receive your order and The Chocolate Doctor will not be held responsible for customs, duties or taxes for your shipment. Where required, provincial/state and/or federal taxes may be applicable to your order. By purchasing online, you agree to the pay the tax for the purchase of this product, depending on the delivery address. If your unit has arrived damaged, please contact us at info@thechocolatedoctor.ca to report the problem. We may ask you to send photos of the unit and/or it's shipping package in order to follow-up with the shipping provider. The Chocolate Doctor is proud to accept Visa, Mastercard and Paypal for online payments, processed through Paypal Business Services. Your credit card receipt will read "TheChocolateDr". 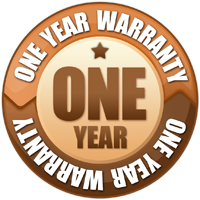 All EZ Temper units are backed by our 1-Year Warranty. If you are experiencing difficulties with your EZ Temper unit, please contact us at info@thechocolatedoctor.ca and we'd be happy to help you. Please note that units which have been used are non-returnable for hygiene reasons. However, if you've changed your mind and would like to return your unused unit, please contact us at info@thechocolatedoctor.ca for return approval and instructions. All returns are subject to a 25% restocking fee. Your return goods (for repair or refund) must by shipped through your local Post Office, (For example, USPS in the US, Canada Post in Canada, Royal Mail in UK, etc). 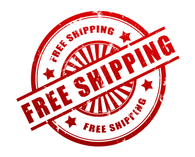 We suggest you use standard service to save shipping costs. Any goods shipped using UPS, FEDEX, DHL or other courier companies will not be accepted and will be returned to sender. If the parcel is delivered inadvertently, any resulting payment invoiced by the above express courier companies will not be paid and your returned goods will not be repaired and returned. "Return to Manufacturer for repair, NCV (No Commercial Value)"
The Chocolate Doctor warrants the EZ Temper unit (Product) against defects in materials and workmanship under normal use for a period of One Year (365) DAYS from the date of purchase by the original purchaser ("Warranty Period”). - (2) exchange the Product with a new or refurbished Product. A replacement Product or part assumes the remaining warranty of the original Product or ninety (90) days from the date of replacement or repair, whichever is longer. To obtain warranty service, you must deliver the Product, freight prepaid, in either its original packaging or packaging providing an equal degree of protection, to the address specified by EZtemper. In accordance with applicable law, EZtemper may require that you furnish proof of purchase details before receiving warranty service. This Limited Warranty does not cover the cost of returning the Product to EZtemper or vice versa; this is your responsibility. Exclusions. The Initial Warranty does not include damage to the product resulting from accident, misuse, improper installation or operation, unauthorized or improper repair, replacement or alteration(including but not limited to repairs, replacements, or alterations made or performed by persons other than EZtemper. ), failure to provide proper maintenance, unreasonable use or abuse of the product, or failure to follow written installation or operating instructions. Water damage is not covered on warranty. Buyer must return the product’s record of purchase to EZtemper within 365 days of the date the product is shipped by EZtemper to Buyer in order to make a claim under the Initial Warranty. Shipping. Buyer will arrange and pay for shipping and handling charges for the unit to be returned to EZ temper. EZ temper will arrange and pay for shipping and handling for the return of the unit to the Buyer.